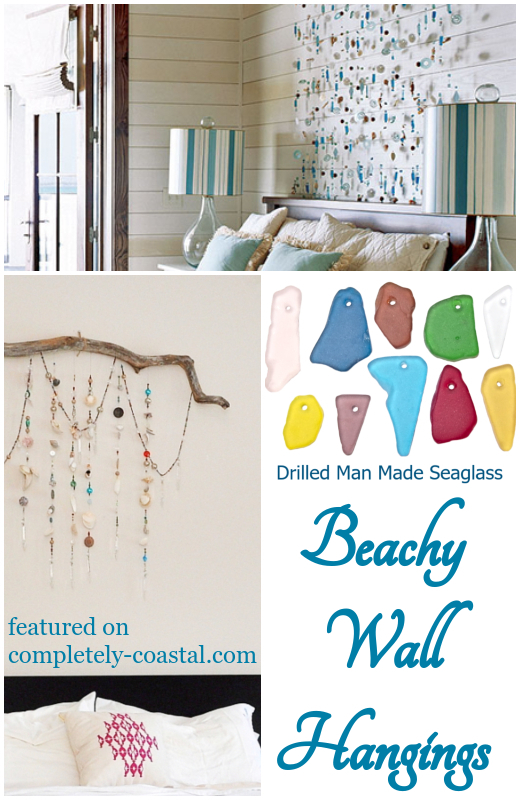 Create a dramatic beachy wall hanging above the bed with sea glass pieces and shells. a beautiful wall hanging over the bed that fills up the entire space. 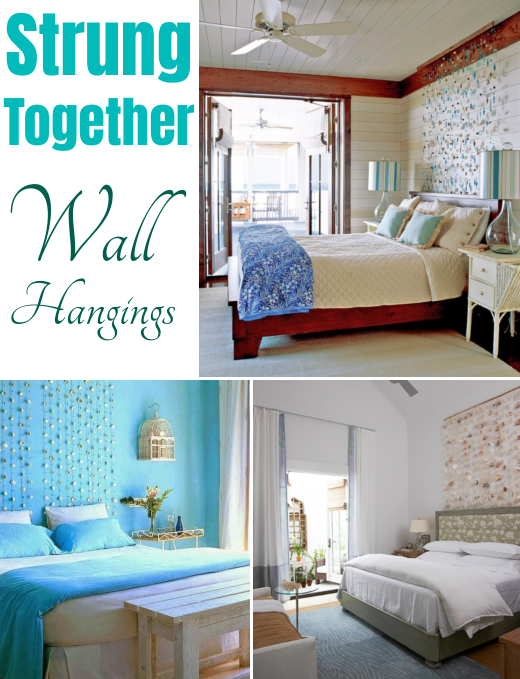 Your decorative wall hanging can have all the beachy-ness you want. 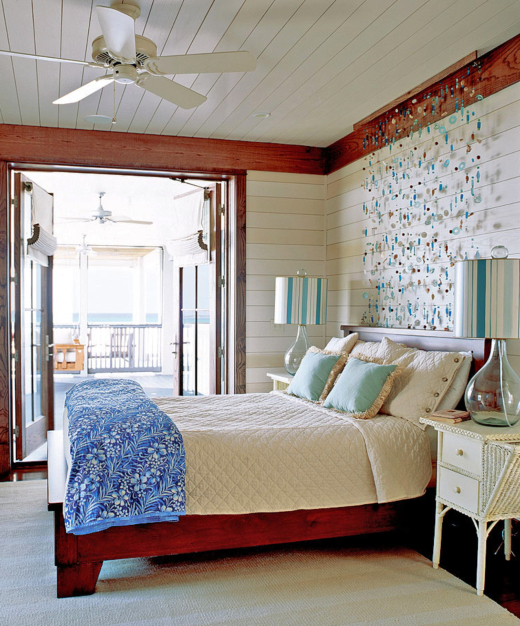 Drilled sea glass pieces in different colors, or in ocean shades of blue and green will bring a lovely water feel to the space above the bed. If you have Seashells, string up some too. Even small driftwood pieces could be part of the wall hanging. And as seen above, to use a large driftwood branch to hang all the strings from could look spectacular. Seen here. Also, if you are thinking that this might be too much work, scale your wall hanging down a bit. It'll still look stunning!